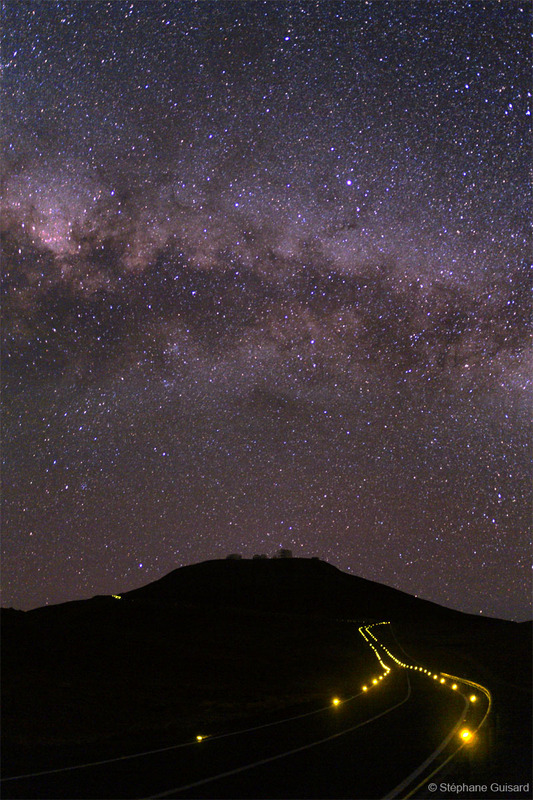 Set of mages showing the Milky Way above Paranal Observatory. 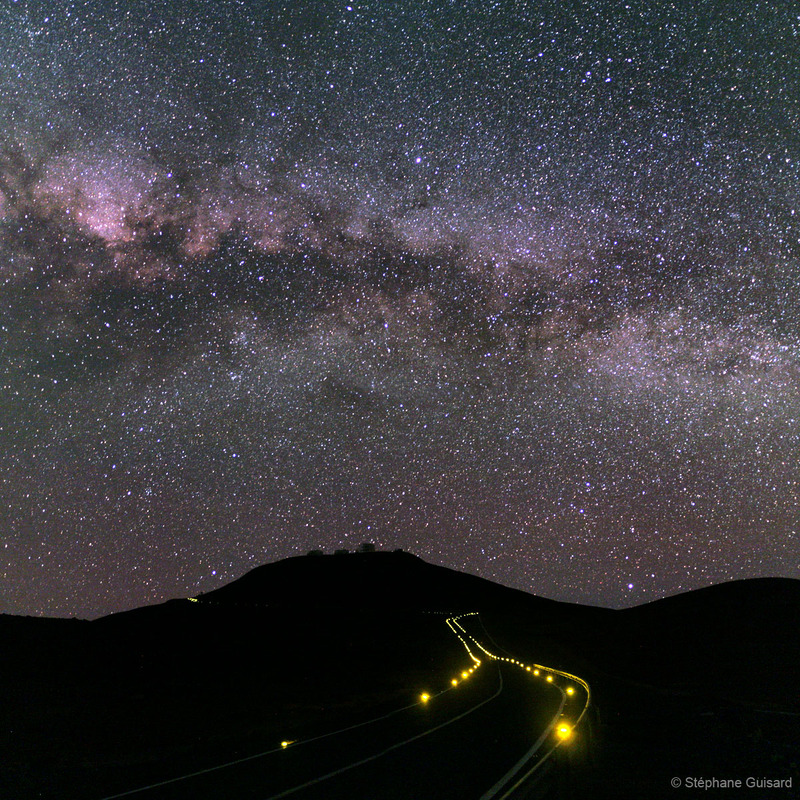 Paranal mountain, in the Acatama desert, North of Chile, hosts the Very Large Telescope (VLT) consisting mainly of four 8m telescopes). The site has been choosen by ESO scientists for its darkness, low humidity, very stable atmosphere and very low numbr of cloudy nights. This set of images were taken when the Milky Way sets over the observtaory. Click on one of the following small images to get to the bigger version of it. The following image is a panoramic image made of 8 pictures taken with a Canon5d camera and a 35 mm lens F/2. 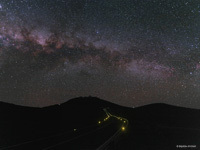 It shows the galactic bulb in the Saggitarius and Scorpius region on the left and Swan constellation towards the left. The light pollution on the right is coming from Antofagasta town, 100 km North of Paranal. Above it, Andromeda galaxy is visible. 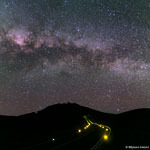 The Paranal road lighting is made of independant sun-rechargeable LED systems that made the road sides visible for astronomers (car lights can not be used at Paranal Observatory in order to protect the night sky darkness) without "ligh-polluting" the sky. The original panoramic image is a 14000x5200 pixels format image.